Thread: 3rd Annual NOVA Event. 17050, 17055, 17011, 17110, 17109 Concrete Window cleaning School Church Carlisle, Boiling Springs, Mt Holly Springs York Gettysburg PA. Thanks for the event. It was nice to meet the guys and gals there. Wish I could've stayed in the parking lot longer, but my son had a piano recital. I made it with 15 minutes to spare. Whew! Got a little stink eye from his mom and instructor. Still a little wound up from the weekend!! We really did have a good time!!!!!!!! 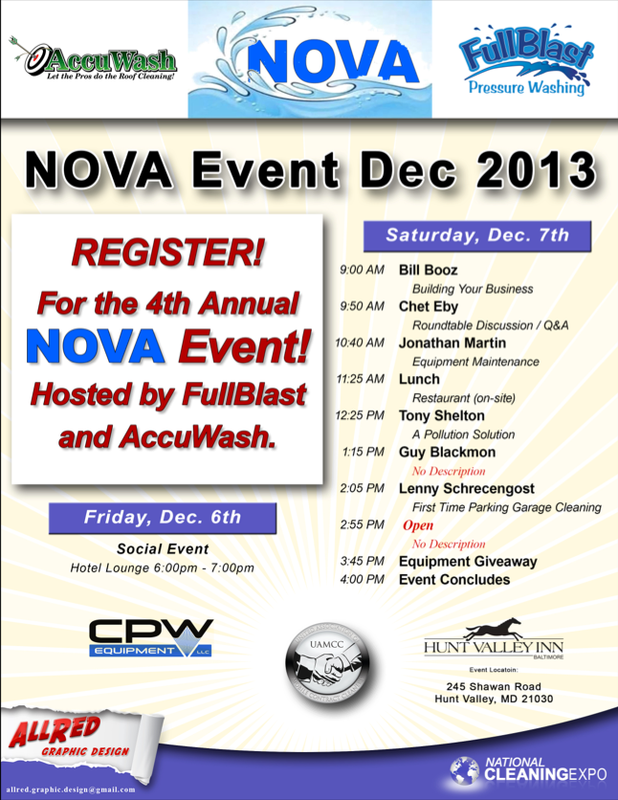 3rd Annual NOVA Networking Event. Hey guys in the past a few guys have been holding a small meet n greet in Northern VA. It seemed as if it was not going to happen this year so a few others and myself are trying to pull this off before the year runs out. I understand that last year there were roughly 20-30 guys there, and I am hoping that we can reach those numbers even if we are running on a short notice. I was not originally > >the one spear heading this project but am trying to help pull this together so we can all have fun. I am currently trying to locate a conference room to have this and am hoping to be able to nail a place down soon. This is going to be a FREE event, but if you have fun and learn something we would appreciate a donation to help cover the expense. We will be having some free give aways and will be listing some of those soon along with a some of the details of the day. I am looking for ideas from you as to what you think would make this a great event!! If you are interested in coming please post or let me know that you will be coming so I can get a rough count of how many will be coming. Anybody have an idea of when and where the event will be held this year? Stay tuned this is going to be a nice event!! !